Although the summer of 2013 is almost over, some nice warm days are still to come. So we may be in need of a hand fan. 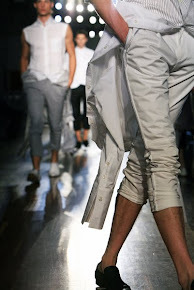 Fashion Hand Fans send me some information on their project that I like to share with you. 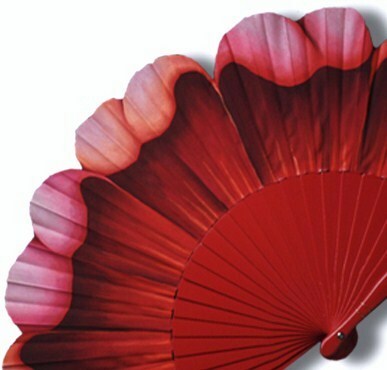 Fashion Hand Fans is a group of artisans / designers from several parts of Spain, who decided to join with a commitment to update and investigate new designs in the world of hand fan. They believe that great design and art can make people happy and this group work to design a timeless fashion accessory made of top quality wood and cotton. Each of the Hand Fans is done on demand so they can deliver a special product to you. The flabellum or the high fan comes from Egyptian and Asian as manifested in the reliefs and paintings at least since the nineteenth dynasty in Egypt. But only took place in the services and royal palaces. Greek civilization adopted the range for domestic use from the 5th century BC and the Greeks imitated Etruscan and Roman custom which was followed during the Middle Ages in both civil and use some religious civilizations. It was the fan in very different ways and with varied materials, dominate the canvas and pen. The folding fan was invented by a Chinese in the seventh century inspired by the mechanism of the wing of a bat. In Europe it is known from the late fifteenth century which was brought from China and Japan by the Portuguese who had opened trade routes to the East. It should not be difficult to copy it soon became popular throughout Europe spread, at first high class ladies and then for all layers of society. In the eighteenth century settled in Spain the French craftsman Eugenio Prost under the protection of the Count of Floridablanca making Spain one of the world's leading producers. On the same century is created the guild of abaniqueros and late on in Valencia, is created the Royal Factory of Hand Fans. Initially, the range was use of both female and male. However, their use becomes exclusive ladies early twentieth century up to this day, although today you can see men fanning while still majority in women. Apparently these became so skilled in the use of this device that came to invent a whole "language of the fan" which is that according to the position where it was located or how as it was being transmitted grabbed a type of or other message. 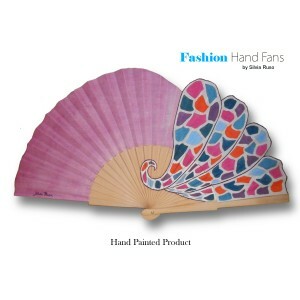 For more information or your own hand fan visit Fashion Hand Fans.